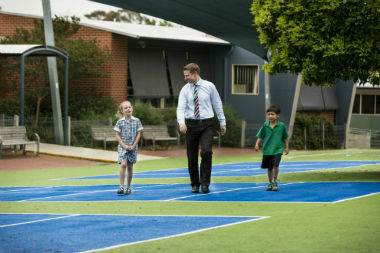 Our Prospective Parents Information Night will be held on Thursday 23 May from 6.30-8pm. Enrolment forms will also be available from this date. Please RSVP for this information by contacting our school office (9882 2140). Additional tours in Term 2 are also available on request. Please contact the school office for further information about how to enrol your child at Auburn South Primary School or to book a tour. If you have just moved into the area and you require an immediate place/s for your child/ren, please contact the school office for enrolment availability and information.